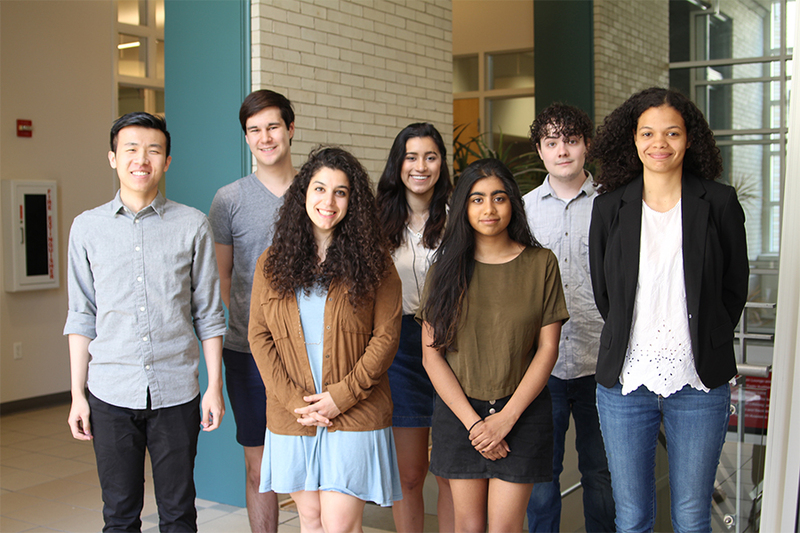 Nine distinguished Carnegie Mellon University juniors will spend the summer working on research and creative projects that span across the college’s various disciplines, including psychology, international relations, creative writing and more. The students’ work is funded through the Dietrich College of Humanities and Social Sciences Honors Fellowship, an extension of the college’s Senior Honors Program, and gives the fellows a head start on their thesis development. Since the spring of her freshman year, Maggie Mertz has been researching female and minority representation in the film industry. As part of her work, Mertz, a global studies and creative writing major, founded the film production studio Momoka Studios. It is run by women and other minorities in the film industry, as part of an effort to increase diverse representation behind the camera as well as in front of it. Alexandra Halberstadt’s first experience conducting research involved cigarette smoking. She’s expanding on that interest in her senior honors thesis. Majoring in biology and psychology, Halberstadt plans to gather personality dimensions to investigate the relationship between personality and nicotine addiction. Now in its fifth year, the Honors Fellowship Program is administered by Devine, Junker and Jennifer Keating, assistant dean for educational initiatives. “We have seen the program grow in its disciplinary diversity since its inception, and we are especially excited to see how this cohort will explore a rich array of topics in the summer months and throughout the academic year,” said Keating. “One of the distinguishing features of this program is not just an opportunity for students to delve into their chosen research enterprise, but also an opportunity to build an intellectual community. Pictured above are the new Dietrich College Honors Fellows. Missing are Maggie Mertz and Alexandra Halberstadt.